She had a sole purpose on Election Day: Get rid of Bob McCulloch , the veteran prosecutor who did not get an indictment against the white former Ferguson, Missouri, police officer who fatally shot the unarmed, black 18-year-old four years ago this week. "To show that four years later, when this man — who could've given us justice decided not to and did everything in his power to do the opposite — that we hadn't forgotten about him and that Mike Brown was still in our hearts. ... Getting him out was for the family, for all the people that have fought, and for everybody that we have lost," the 28-year-old Eikerenkoetter, who is black, said Thursday after attending a protest marking the anniversary of Brown's Aug. 9, 2014, death. 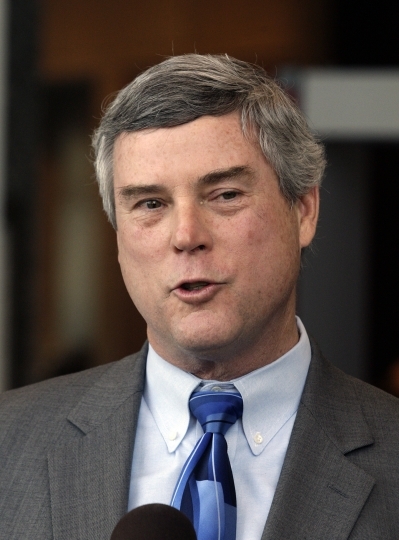 "It was about so much more than getting Bob McCulloch out. It was about what he represented." Bell's 57 percent to 43 percent victory over McCulloch, a white prosecutor first elected in 1990, is the latest win for the Black Lives Matter movement, which has increasingly shifted from protest to local politics in recent years. Voters concerned with the killing of unarmed black people by police have made their voices heard from Ferguson to Cleveland to Chicago. In a clear sign of the interest and enthusiasm around the race, more St. Louis County residents voted in the district attorney's contest for Bell, a black city councilman, than for any other candidate on Tuesday's ballot — more than 103,000. Nearly 1 in 4 St. Louis County residents are African-American, and blacks make up at least a quarter of the county's Democratic voters. In the five years since the Black Lives Matter movement began largely on social media with a galvanizing hashtag in the wake of neighborhood watch volunteer George Zimmerman's acquittal in the 2012 shooting death of Trayvon Martin in Florida, the issue of police killing unarmed black people has not only made headlines and sparked protests across the country. It also has spurred political campaigns, motivated black voters and polarized NFL fans. And activists have expanded the platform beyond policing to address systemic racism in areas including housing, education and employment. 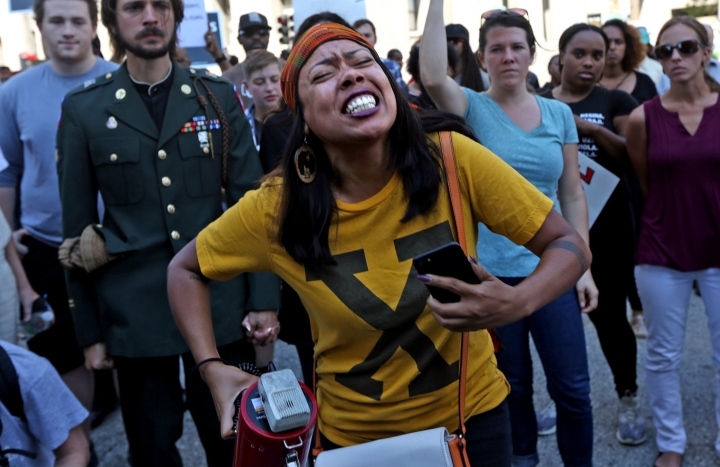 "We must always vote for issues and not just candidates," said Charlene Carruthers, national director of BYP100, a Chicago-based group that mobilized voters in 2016 to oust Cook County State's Attorney Anita Alvarez for her handling of the 2014 police shooting death of 17-year-old Laquan McDonald . "People in elected positions have so much power over what our communities have and don't have," Carruthers said. "While we do transformative work of building alternatives to prisons and policing, we can at a minimum elect candidates who will either support us or stay out of the way." 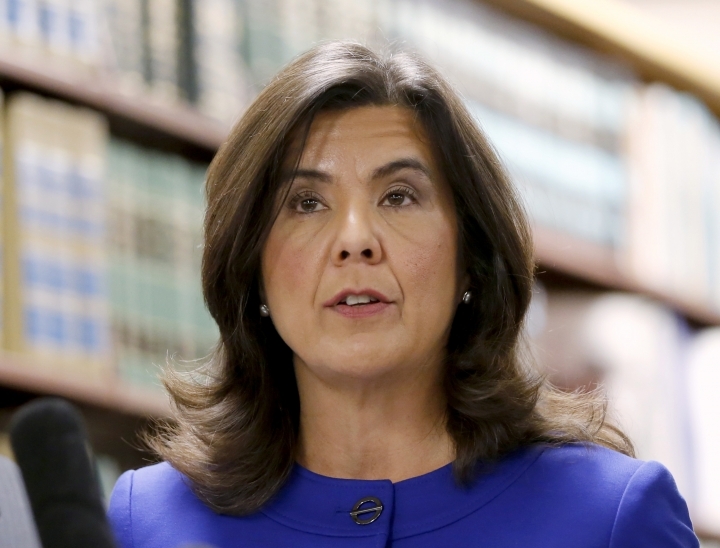 The same night Alvarez lost her election in Illinois two years ago, Cuyahoga County voters replaced prosecutor Tim McGinty for his response to the 2014 killing of 12-year-old Tamir Rice by a Cleveland police officer. Last year, Black Lives Matter activists also began to turn their attention to state legislatures, launching an online platform and building on momentum at the national level to push back against President Donald Trump's administration, which has been unfriendly to the movement and has embraced local law enforcement. Police reform — absent from recent presidential election cycles — became an issue in the 2016 Democratic presidential nominee contest, and candidate Hillary Clinton campaigned with the Mothers of the Movement, black women whose children were killed by police and white men like Michael Dunn, who fatally shot 17-year-old Jordan Davis in 2012 in Florida. On Friday, Brown's mother, Lezley McSpadden announced that she planned to run for the Ferguson City Council in April. McSpadden said she was surrounded by people who provided her with support and motivation, and they "knew what happened was wrong and didn't give up the fight." "I learned to walk again," she said. "And this is one of my first steps: running for Ferguson City Council." Davis' mother, Lucy McBath, is a congressional candidate who recently won a Democratic primary runoff for a Georgia House seat. The first-time candidate was motivated to enter the race because of her son's death. In the wake of Ferguson, organizers worked to register more black voters. Bell and Ella Jones, who also is black, were elected to the Ferguson City Council in the 2015 municipal elections, where turnout tripled. The city's police chief and a judge also resigned. Ahead of this week's St. Louis County prosecutor's race, the online civil rights organization Color of Change sent text messages to more than 95,000 residents encouraging them to vote for Bell and put up a billboard supporting Bell. Spokesman Rashad Robinson, who has worked to elect district attorneys across the country since 2014, said such elections are about more than just politics for black voters, but about translating energy into shifting the rules. "For (McCulloch) to go down this way because of the organizing that took place and because of people truly sending a message that St. Louis deserves both safety and justice ... 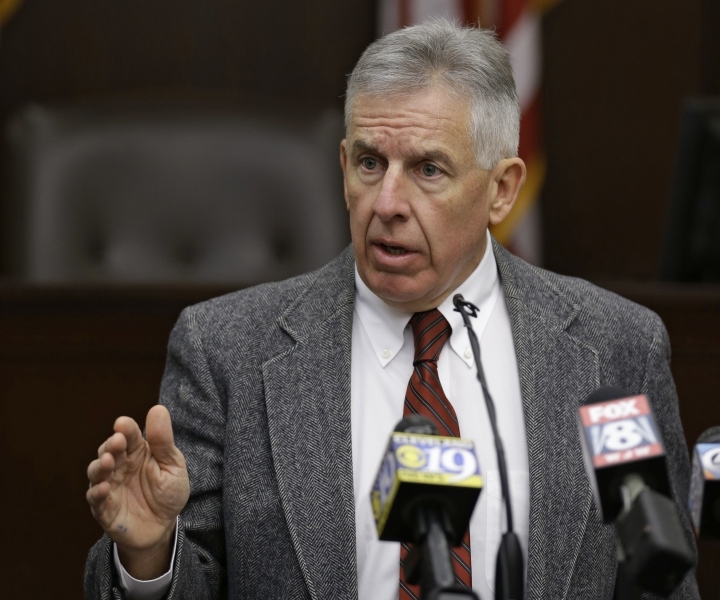 I hope this sends a powerful message to district attorneys around the country that they're on notice," Robinson said. For Kayla Reed, the victory made her proud, especially for her community. The St. Louis native left her job as a pharmacy technician to become a full-time activist after Brown's death. She pointed out that McCulloch — who was elected to a seventh term five days before Brown was killed — has been the prosecutor her entire life. "There's an entire generation that doesn't know what a prosecutor could be because all they've ever known is Bob McCulloch and the devastation he has caused in the black community. Folks were going to the polls just for this," Reed said. 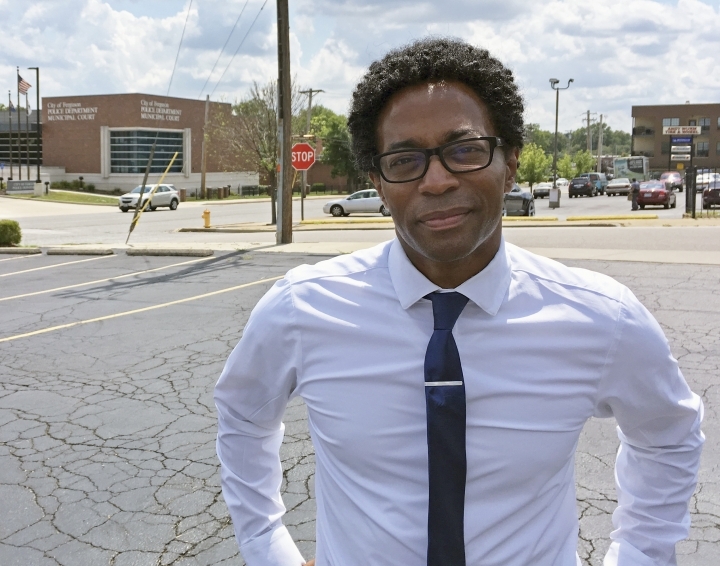 "People have always asked the question, 'What did you win after Ferguson?'" she added. "This is what we won. We built a campaign that took out a 27-year prosecutor."